Farm days are officially back! 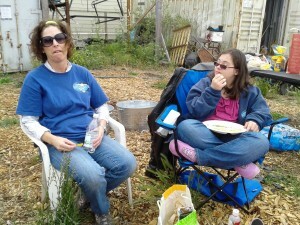 Come out to the property every first Saturday of the month to help weed, grow, tend, build etc. the farm! We will not continually post dates for the farm day. Trust that it will be every first Saturday of the month unless otherwise noted. Thanks for joining us and we’ll see you out there! Where: Big Wave property in Princeton-by-the-Sea (near 333 Airport Street). Questions: Contact Kim at kgainza@bigwaveproject.org or call (415)-517-9447. You’re invited to an autumn celebration with friends, family and supporters of the Big Wave Project. This event will feature activities that are fun for all ages! Activities include arts and crafts, group games, pie eating contests, an old-fashioned cake walk, silent auction and raffle. Make sure to wear your boot-scooting shoes for live music and dancing! Please help with this year’s event! 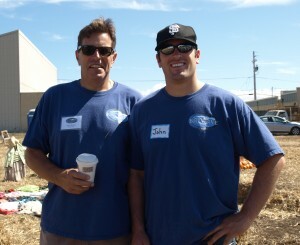 Big Wave’s Harvest Fest is only made possible by the help, creativity and dedication of our volunteers. 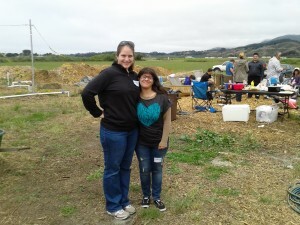 Contact Kim at kgainza@bigwaveproject.org or call (415)-517-9447 to learn more about volunteering this year’s fest. We have some fun items for this year’s auction, including gift certificates to local hotels and restaurants, hand-made jewelry, wine, themed baskets and more! Please make a family favorite dish to share. Consider bringing something gluten free as there will be a separate table for gluten free dishes. 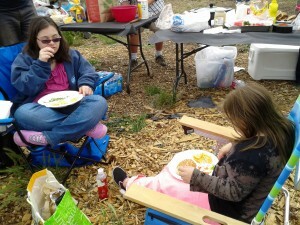 Big Wave will provide hamburgers, hot dogs, vege burgers and all the fixings, plus pumpkin pie for dessert! Tehya will be joining us for a second year in a row. Tehya, a local band, incorporates classic rock and blues music that encourages you to sing along and dance the afternoon away. Come down, have fun, pitch in! -Prep soil, build tee pees and plant peas and beans. Lay circle of antique bricks. Questions? 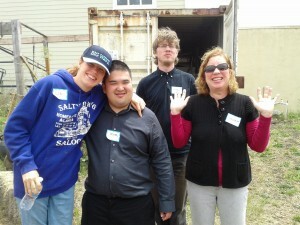 Please contact Jon @ (650) 245-2790 or Jyoshimine@BigWaveProject.org. 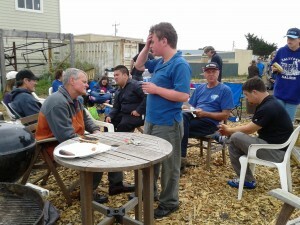 Thank you so much for coming to the BBQ on Sunday! Check out some of the pictures. Come hang out on Sunday for a causal BBQ at the farm. 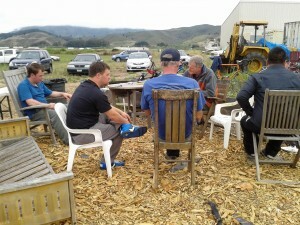 Catch up with friends and see all the progress on the farm. Before you leave, feel free to pick some leafy greens and herbs for your kitchen. No RSVP needed, however, BYO hot dogs/hamburgers and buns. 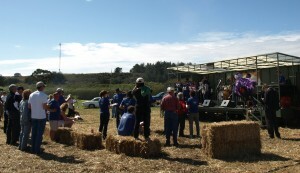 Proponents for Big Wave, a live/work community for adults with developmental disabilities, gathered on the project’s property in Princeton Saturday for the 6th Annual Big Wave Harvest Festival. On Saturday, more than 200 people attended the 6th Annual Big Wave Harvest Festival, a fun-filled autumn celebration with friends, family and supporters of the Big Wave Project, an office park and housing complex for the developmentally disabled that would include 225,000-square-feet of office space and housing for about 50 developmentally disabled adults in a Princeton plot behind the Half Moon Bay Airport. It’s been a couple of months since the California Coastal Commission put a kibosh on Big Wave, maintaining the piece of property was not the right place for such a project. But the decision to kill the live/work community for adults with developmental disabilities hasn’t stopped the proponents of Big Wave from moving ahead with future plans for the project. The partners in Big Wave LLC have already started the process to move forward with a law suit against the California Coastal Commission. They are also increasing their outreach to the community, other government agencies and legislators. 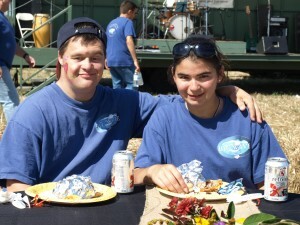 This includes events like the Harvest Festival, which coincides with October being National Disabilities Employment Awareness Month and is “a celebration for our future residents and all the people who have dedicated so much time to this project,” said Big Wave president Jeff Peck, an El Granada resident with a 24-year-old daughter with developmental disabilities. Peck has coached Special Olympics basketball for 15 years and knows a large majority of those with developmental disabilities on the Coastside, he said. 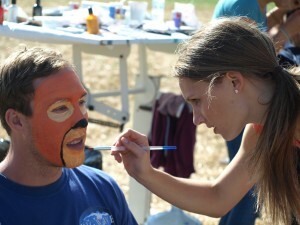 The festival, held on the Princeton property near 333 Airport Street, is not a fundraiser necessarily, although it does raise enough money to cover costs with funds primarily used for the organization’s organic farm operations and other activities for the developmentally disabled community such as educational activities and sports teams. 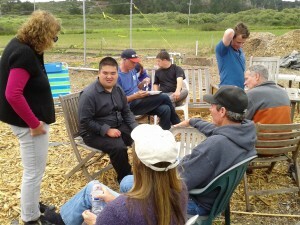 Big Wave Group, a nonprofit 501 (c) (3), owns the five acres on which the live/work community for those with developmental disabilities would be built. 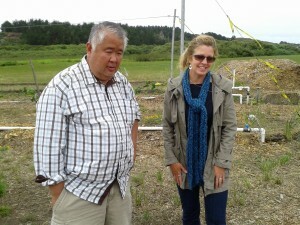 Big Wave LLC, a for-profit company, donated the land to the Big Wave Group on Dec. 27, 2011. The 15 acres, parcel immediately to the north, is where the business park would be built, “the financial engine for the Wellness Center,” said Peck, who purchased the land with his wife Valerie and good friends and business partners, Steve and Jamie Barber, over 12 years ago “to build something that provides lifetime benefits for the developmentally disabled while at the same time benefitting the entire Coastside community,” said Peck. The Harvest Festival was created for “community good cheer” for the Big Wave community, explains Peck. The funding for the Wellness Center design and permitting process came from private individuals. Festival activities included arts and crafts, planting, group games, pie eating contests, an old-fashioned cake walk, silent auction, raffle, a pumpkin patch, live music, and dancing. The highlight of Saturday’s event was when all attendees at the party sang the Big Wave Song, which can be heard on the organization’s website. 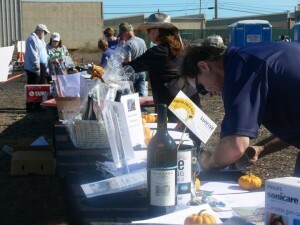 Big Wave’s Harvest Festival is only made possible by the help, creativity and dedication of volunteers. You’re invited to a fun-filled autumn celebration with friends, family and supporters of the Big Wave Project. This event will feature activities that are fun for all ages! Activities include arts and crafts, planting, group games, pie eating contests, an old-fashioned cake walk, silent auction, raffle, live music and dancing. Don’t forget to purchase the perfect Halloween pumpkin from Big Wave’s bountiful pumpkin harvest! When: Saturday, September 29th, 2012 from 1:00pm-5:00pm. Where: Big Wave property in Princeton-by-the-Sea (near 333 Airport Street). See below for map and directions. We have some fun items for this year’s auction, including gift certificates to local hotels and restaurants, hand-made jewelry, artwork, wine, tickets to Disneyland, Santa Cruz Beach Boardwalk and more! Please bring a side dish to share. Last name A-M, please bring a side (ex. Chips, nuts, rice, raw or steamed veggies, cut fruit) and N-Z, a salad (ex. Potato, leafy greens, fruit) Consider bringing something gluten free as there will be a separate table for gluten free dishes. I want to thank all of our supporters of Big Wave. We had such an amazing turnout for the Wednesday hearing. We had people from all walks and locales, some people I didn’t even know, that came together for a singular, shared purpose, to help build our Big Wave community. Well things did not go as planned. The Coastal Commission outright vetoed the project and Commissioner Blank even gave an abusive tirade about the sinister motivations of the project founders. Unfortunately he had learned nothing from the civility and the honesty that every one our speakers naturally displayed. My day of mourning and devastation is over. It ended when I reviewed the video of our future residents and supporters speaking at the hearing. I am going to take one week to think about things as will the Big Wave team and close supporters. We will formulate the next steps we need to take for getting our project to the point of construction. Thank you all for your unabated support, without which Big Wave would have never gotten this far. At the next meeting let’s have 200 speakers. We are officially on the California Coastal Commission August 2012 Draft Agenda August 8, 2012. We wanted you to be the first to know before we sent out notices to all of our supporters. Feel free to contact all potential supporters of Big Wave to attend this crucial meeting and start thinking what you want to say. We will be sending out updates to you whenever we hear or see something substantial from the Commission staff. In addition we will send you a list of people or agencies whose support of the project could help educate the Commissioners. We have not yet decided what time our supporters should show up at the hearing. Time Hearing opens: 9:00 A.M.